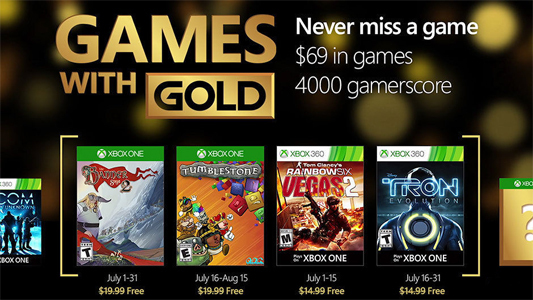 The Banner Saga 2 Tumblestone, Rainbow Six Vegas 2 and TRON: Evolution. The Banner Saga 2, sequel to one of the most successful titles in recent times BAFTA -nominación included-, has reaped great success in PC. Their story invites us to move into a Nordic and fantastic universe, as we tell the hard exodus a group of refugees who are forced to undertake a perilous journey through mountains and dangerous places. Tumblestone is a puzzle game, full of action and puzzle puzzling that offer several game modes, online competitive local and up to four players on one console and a campaign mode with forty hours of content. Sequel to one of the titles most successful tactical action of all time, Tom Clancy’s Rainbow Six Vegas 2 takes us to a new anti-terrorist operation in the heart of the city of Las Vegas, offering more variety of weapons, levels and situations in which we use stealth and speed against enemies. Prequel movie of the same name, in TRON: Evolution, an action game, platforms and adventures, we moved back to the virtual world of the first film, programs fighting against enemies and dodging the many dangers and conspiracies.